Since starting this blog I’ve always had my eye open for new J2O flavours, and we’ve written about quite a few varieties over the years. 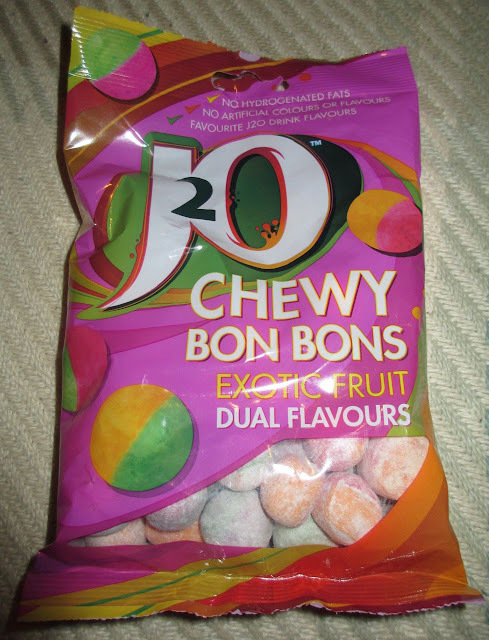 They have always been in drink form though, so these J2O Chewy Bon Bons Exotic Fruit Dual Flavour sweets (long name) are a bit of new thing. 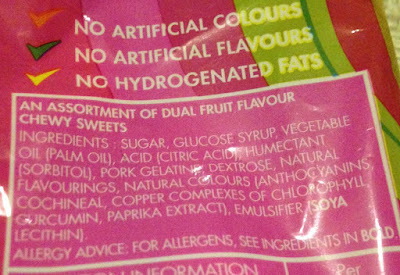 I turned the bag over and found that these sweets are actually made by Monty Bojangles, another brand we have featured before here at Foodstuff Finds. They usually make quite posh confectionary. Theses new sweets are two tones in colour and match J2O mixed flavours, past and present. Apple and Mango - The apple featured predominantly in the flavour with just a hint of mango. It was pleasant, but not a strong flavour, notably weaker than the drink. Apple and Blueberry - Not a flavour of J2O I’ve seen for a long while (I think it was discontinued), but perhaps it will make a come back. The flavour of this sweet was much sharper, with a lovely strong blueberry tone, followed by a smooth apple finish. Apple and Raspberry - This sweet had a nice twist of raspberry, with a hint of apple, nicely fruity, but very different to the drink. It is much lighter in taste. Orange and Mango - This one was probably the closest to the drink, with the mango being fresh strong and quite full on, with a good citrus blast from the orange. It was definitely my favourite and certainly the most juiciest in the pack. 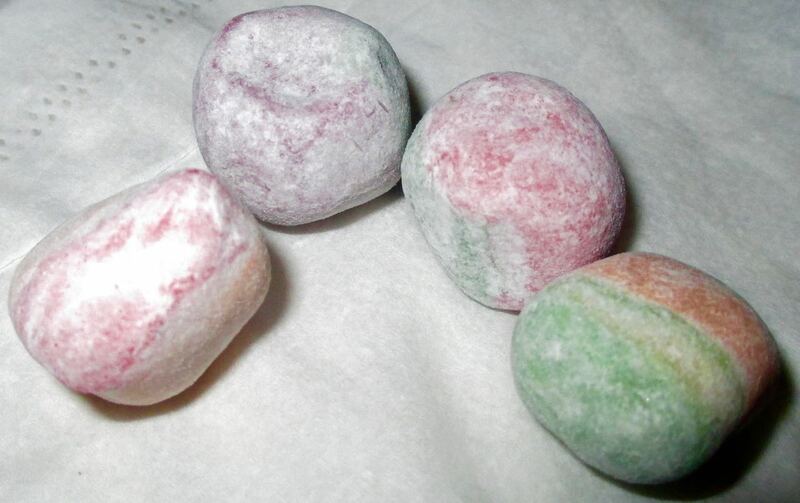 What I really liked about these sweets was that are firm and chewy, but they are not sticky. You can enjoy biting on them, and they don’t get stuck in your teeth, which I think is the perfect texture for a chewy Bon Bon. 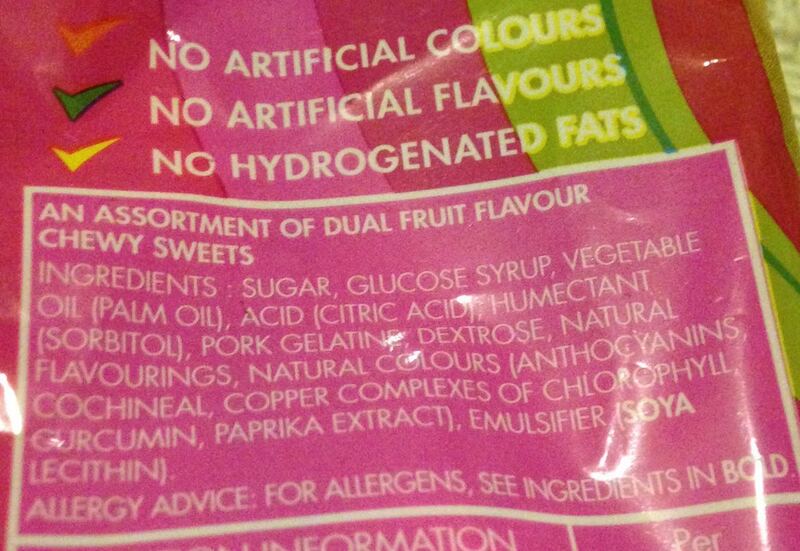 The sweets are pleasingly fruity and as the texture is good I enjoyed them far more than I thought I would. However once Spectre got hold of them I never saw them again… so I think it is safe to say I think he gives them a thumbs up!